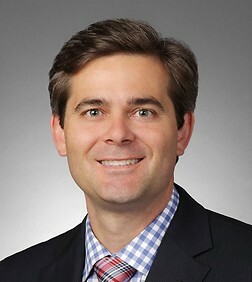 Paul Werner is a partner and Practice Leader of the firm’s Business Trials Practice Group resident in the Washington D.C. office. Mr. Werner is a seasoned first-chair litigator, whose prodigious representations over the past decade have been before diverse decision-making authorities, including all levels of courts and administrative tribunals, federal and state, as well as arbitral tribunals, and spanned a wide range of complex litigation matters. These matters have run the gamut from “bet the company” commercial disputes to controversies involving statutory, constitutional, communications, energy, environmental, insurance, intellectual property, false advertising, trade secrets, privacy, and administrative law issues. Mr. Werner has extensive experience representing cable operators, telecommunications, and other broadband providers in matters involving communications law issues, including local franchising, PEG programming, rights-of-way, pole attachments and infrastructure deployment, and a host of other related issues. He has represented providers on these issues in state and federal courts and participated in rulemakings and adjudications before the U.S. Federal Communications Commission (“FCC”). Mr. Werner also regularly defends companies against putative class actions, particularly suits involving claims of unfair competition, state consumer protection statutes, and products liability. Recently, he successfully represented an association of communications providers in defeating certification of a putative class of landowners seeking damages for alleged unauthorized “telecommunications” use of easements they had granted to an electric utility, and is currently defending the trial court’s decision on appeal. Mr. Werner is additionally experienced in representing companies in governmental and internal investigations. He has represented clients in criminal and civil investigations, including investigations arising under the False Claim Act, the Anti-Kickback Act, and the FCC E-Rate program. His practice includes significant trial and appellate experience. In recent years, Paul has tried multiple disputes to judgment. He also recently assisted with a lengthy trial in federal court involving false advertising claims that resulted in a favorable jury verdict. Mr. Werner also regularly represents clients in state and federal appellate courts, including the United States Supreme Court. Mr. Werner's matters are regularly reported in the media, including Law360. Mr. Werner is dedicated to pro bono representations and public interest litigation. On behalf of a community organization, Paul successfully obtained an appellate decision overturning a trial court decision that had upheld a planning board's approval of a commercial water bottling operation in an environmentally-protected area with trailheads into the Catskill mountains. And he is currently representing an environmental organization in federal court litigation arising under the Environmental Species Act, as well as a separate not-for-profit organization in unrelated environmental litigation concerning the Bristol Bay region of Southwest Alaska. Won a preliminary injunction in favor of nearly a dozen communications providers that led to favorable resolution of federal court litigation against the City of Baltimore involving Section 253 of the federal Communications Act. Successfully represented the California Cable and Telecommunications Association in defeating certification of a class of statewide landowners seeking injunctive relief and damages for alleged wrongful "telecommunications” use of easements they granted to an electric utility. Defended cable operator through a weeks' long trial of a state court action brought by an investor-owned electric utility claiming the operator owed millions of dollars in back pole attachment fees for allegedly providing "telecommunications services"
Is the net neutrality fight over?